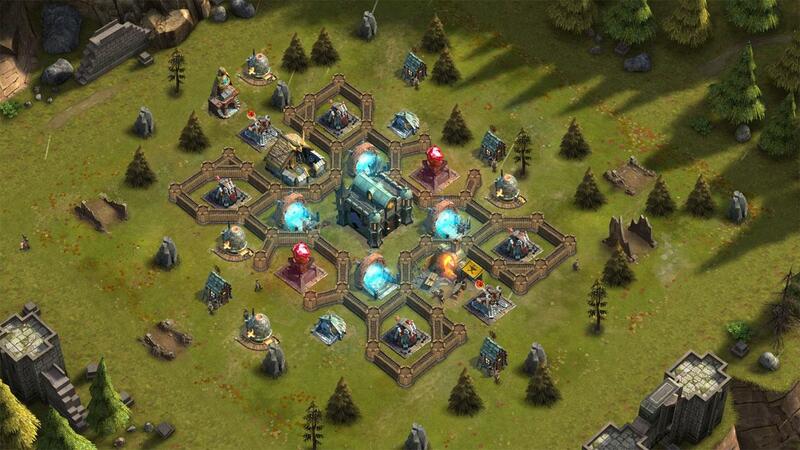 Launch devastating attacks on your enemies and trample their bases in this epic strategy experience. Build a mighty kingdom full of defenses that everyone in the land will fear. Call onto the power of legendary creatures to aid you in the tough battles that lie ahead. 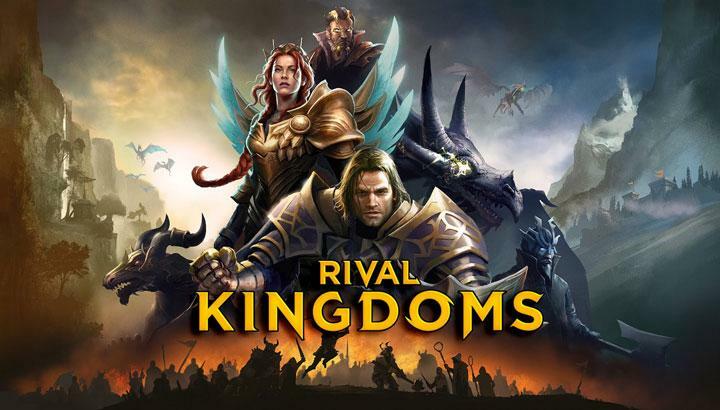 Rival Kingdoms: Age of Ruin is a sensational mobile based MMORTS that brings all the best elements and features of the genre right into the palm of your hand. It has addictive gameplay, great progression to look forward to and alongside this, it’s an absolute delight to look at. The introductory phase of Rival Kingdoms: Age of Ruin is a pretty well-built. As you start off in the game for the first time, you’ll first be taken into a tutorial battle which will explain how to siege an enemy’s base and utilize the units that you have at your disposal. After this fight, you’ll be taken to your own base where the game will explain all the basic principles of building up a successful kingdom and also teach you how to do all basic tasks such as setting up structures or creating armies. One of the best parts about this game is that it’s really easy-going on new players. Up until you reach level four, your base will be protected from all enemy attacks which will allow you to learn and get the hang of things in peace. 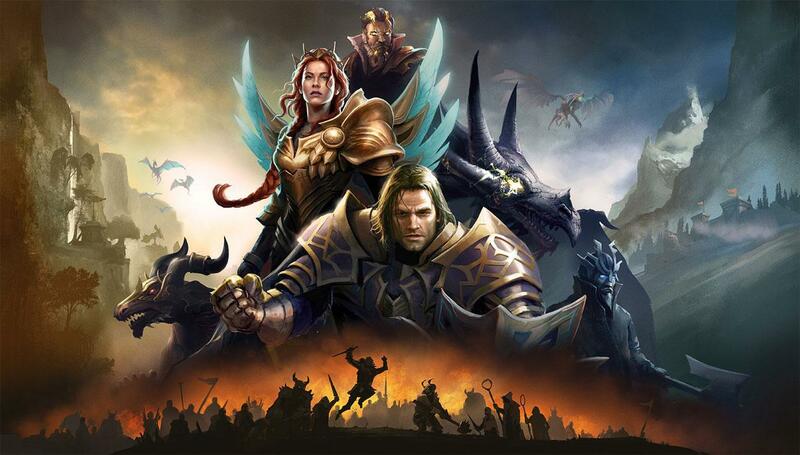 In terms of gameplay, Rival Kingdoms: Age of Ruin hits the nail on the head. It’s basically the perfect blend of traditional MMORTS features coupled with a bunch of new ones and is overall absolutely delightful. The first part of the gameplay is of course the part where you build your own kingdom. There are a lot of choices available and the design is completely up to you. There are tons of different structures that you’ll get to place and a lot of defensive ones like turrets that can potentially save your base from a devastating raid if setup properly. The second part is of course the combat and attacking. Attacking opponents is a ton of fun because it’s really strategic and rewarding. The units used to siege are those that you train from your base and they’re divided in different squads that you can deploy in the area. Of course unit placement is quite crucial here but alongside that there’s another unique element which is in the form of spells. As a fight progresses, you’ll be given mana points and if you can get enough of these then spells become available for casting and these can completely turn the tide of battle if used properly so this adds a lot of depth to the gameplay and is a much welcomed feature. 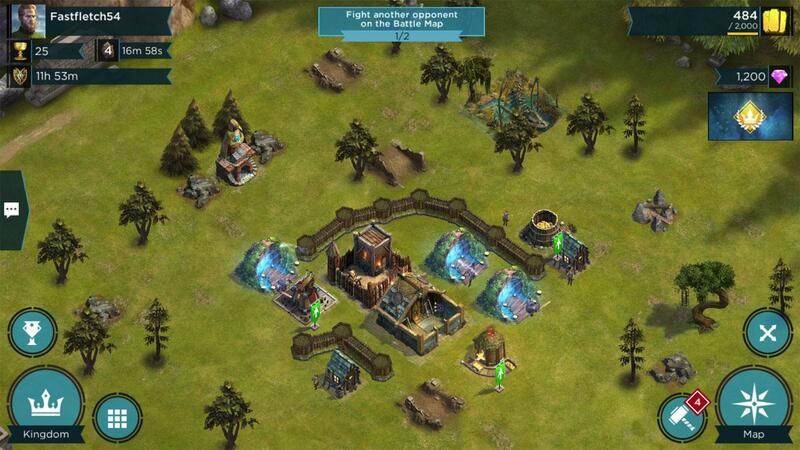 As for looks, Rival Kingdoms: Age of Ruins looks pretty top notch. The textures are pretty detailed and the art style has been executed nicely. All animations are really fluid and large scale battles are breathtaking to look at because there are lots of special effects going off in all areas and these combined with the epic sound effects make for a really immersive experience. The two main currencies of the game are diamonds and gold coins with diamonds being the premium one and gold coins being the standard in-game currency. Both of these have many uses in the game and can be acquired by paying with real world money as well as through various in-game means. Rival Kingdoms: Age of Ruin is a fantastic MMORTS game that’s guaranteed to impress all who try it out.